The Iowa and Illinois health departments said on Thursday that they were investigating cyclospora infections linked to salads at McDonald’s restaurants. McDonald’s shares fell 1.4 percent after hours on Thursday. The Illinois Department of Public Health said it had recorded about 90 cases since mid-May, and the Iowa Department of Public Health said it had recorded 15 cases since late June. In about a quarter of the Illinois cases, people reported eating salads from McDonald’s in the days before they became ill, officials said. 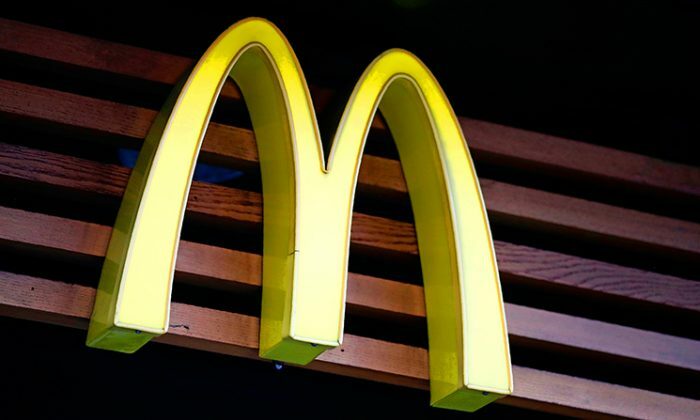 “The initial investigation indicates a link to consumption of McDonald’s salads produced for McDonald’s restaurants,” the state health department said in a statement, noting that anyone who has eaten a McDonald’s salad in the last two months and experienced diarrhea and fatigue to contact a health provider to be tested and receive treatment, reported CNN. Officials in Iowa are asking the same of anyone who has developed similar symptoms since mid-June, saying all 15 of the recorded cases there have been linked to McDonald’s salads. McDonald’s, the world’s largest restaurant chain, said in a statement that it had been in contact with public health authorities in both states. It said that it had voluntarily stopped selling salads at the approximately 3,000 affected U.S. restaurants until it could switch to another lettuce blend supplier. “We are closely monitoring this situation and cooperating with state and federal public health authorities as they further investigate,” the company said. Most of the stores are in the Midwest, the company said. The parasite, Cyclospora cayetanensis, infects the small intestine, typically causing watery diarrhea and frequent, sometimes explosive bowel movements. Other symptoms include loss of appetite, weight loss, stomach pain, and fatigue. It is spread by ingesting food or water contaminated with feces and not directly from one person to another. Several outbreaks have occurred in the United States in the past several years, especially during the summer months, that have been linked to imported fresh produce including raspberries, basil, snow peas, and lettuce. A current outbreak of illnesses linked to Del Monte vegetable trays was caused by the parasite, officials with the U.S. Food and Drug Administration said. The trays were sold by Kwik Trip in locations across Illinois, Iowa, Indiana, Michigan, Minnesota, and Wisconsin. The Centers for Disease Control and Prevention said that the outbreak has caused 212 confirmed cases of the parasite, causing seven hospitalizations as of yet but no deaths.